Defense Ministry schedules emergency meeting for Wednesday after series of earthquakes hits Israel's north. Israel's Defense Ministry on Wednesday will hold an emergency meeting to discuss the string of earthquakes which has hit Israel's north over the past week, Hahadashot reported. The meeting will include all of the agencies involved in dealing with the aftermath of earthquakes, including the IDF's Home Front Command, Israel's fire and rescue services, Magen David Adom, Israel Police, and municipal leaders. The Defense Ministry's National Emergency Authority will lead the meeting, the purpose of which will be to prepare for continued earthquake and the possibility of a more severe earthquake. According to Hahadashot, the agencies, municipalities, and government ministries, have already received orders to update their policies. 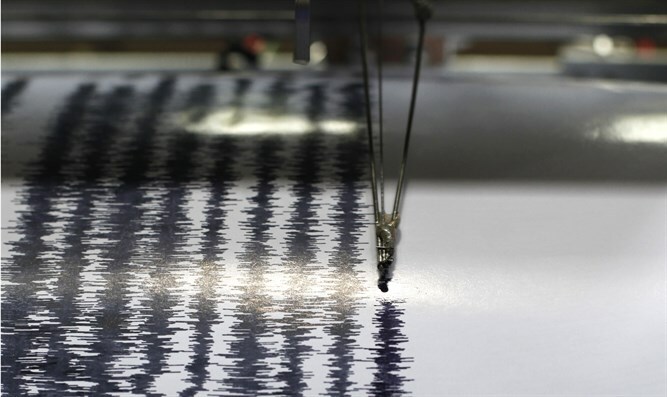 On Sunday, four earthquakes ranging from 3.1 to 3.9 in magnitude were felt in Tiberias, after an earthquake measuring 3.4 on the Richter scale was felt Saturday morning. On Wednesday and Thursday, earthquakes measuring 4.1, 4.3, and 3.2 were felt in the same area.